You want to make the most money from your site. 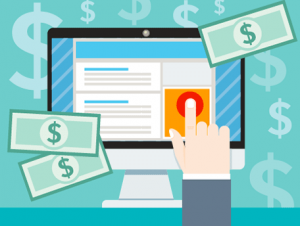 This series of articles will help you monetize your site better. There are a wide range of considerations to make. The first decisions you’ll make involve the niche of your site. Don’t build a site without first knowing from where the traffic will come from, and how you can profit from that traffic. You should visualize where the profits will come from, before you begin. Your best option is to build a site with a targeted audience in a profitable niche. 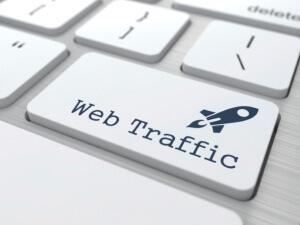 If your main source of traffic comes from search engines, it will be easier to nail down a strategy that plugs your traffic into the highest paying offers and ads. All types of traffic can be profitable, but for the most part – you’ll be better off selecting a particular niche that has many opportunities for monetization. I’ll give examples so you can understand where I’m going with this. If you have a traffic source which would allow you to garner millions of viewers, by all means go for it. What you will find, however, is that the audience is so generalized, that advertisers are not willing to pay large amounts of money bidding for this type of traffic. While you could try to sell products, they would not sell as well as if your audience were targeted as being interested in a particular niche. You would also find that adsense would pay around a nickel per clickthru for this type of generalized traffic. Let’s say your product is Lady Gaga tickets. You wouldn’t sell nearly as many if you have general traffic, compared to traffic that is generated specifically for Lady Gaga (by marketing to her Twitter fans, or ranking in Google for Lady Gaga content). Content that features products for sale, whether through Amazon or some other type of affiliate service offering specific products. Content that ranks in Google, where the content has a high amount of competition through adwords, and monetizing that content through adsense. Content that warrants further study, through online help e-books available through Clickbank. Content that features information so juicy that viewers would perform CPA (cost per action) efforts in order to access the content. Some of my most successful sites feature products for sale within the content, but also featuring adsense and occasional cost per action or clickbank content, where the clickbank deal matches the niche of my site. (Think health niche). 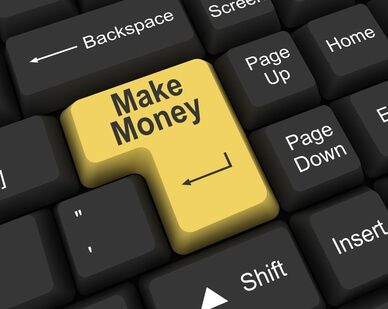 It is a colossal mistake to put off thinking of how you will make money until after you’ve started receiving traffic. I often find myself assisting others with their on-page SEO, and as such I’m exposed to dozens of sites where I cannot fathom how they intend to profit from them. It is essential to get your niche right, so I’ll give another example of what I’m talking about. I was approached about a certain site which wasn’t ranking very well in Google. The site was about current car models. The site owner fancied himself getting traffic from people searching for current year makes and models, and had a site full of articles (that were not ranking). The problem wasn’t his on-page SEO. The problem was the fact that real newspapers have headlines about each year’s new makes and models. Entire magazines are dedicated to it. Lastly, the vehicle manufacturers themselves were all highly optimized to rank for their own brands. This made it virtually impossible to rank for these terms. I asked the guy, how do you intend to monetize this site? He wasn’t expecting to sell vehicles. After brainstorming with him a few minutes, the only conclusion was to shoot for adsense. So then, we visited Google’s keyword planner, searching for terms like, “2016 Ford models”. Competition was “medium”. Other similar phrases produced “low” to “medium” competition in adwords. Low competition, or medium, means there are not that many adwords users bidding on your terms. In addition, the amounts being suggested by Google’s keyword planner were fairly low. In summary, this guy had a very steep mountain to climb, in order to achieve a very small reward. He had to compete with dedicated magazines, newspapers, and manufacturer sites – and if he succeeded, his only reward would have been low paying ads through adsense. He would have been better off selecting the right niche from the beginning! I’ve been doing a lot of diversifying of traffic sources lately. Though I still work on getting traffic from Google, I also chase after targeted traffic from social media. 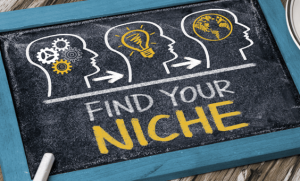 Consider selecting a niche which features products which can be sold (as from Amazon or similar type of affiliate program), as well as information products (allowing you to profit from Cost Per Action or through clickbank), and finally – the niche should have high competition in Google’s keyword planner, so that if you wish to include ads from adsense, adwords bidders will compete to place their ads on your site, getting you larger costs per click. In summary, select your niche wisely! This is assuming you haven’t already created your site. Even if you have, it is a good idea moving forward to introduce better content that is more easily monetized. The next article will discuss using Google’s adsense to monetize your site, and getting a better cost per click. 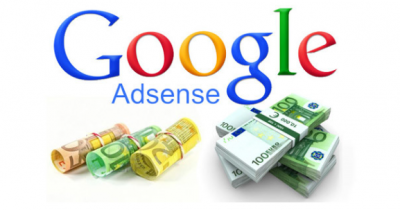 Adsense can be a great source of income, whether your primary audience traffic comes from Google’s search engine or social media, such as Twitter and Facebook.